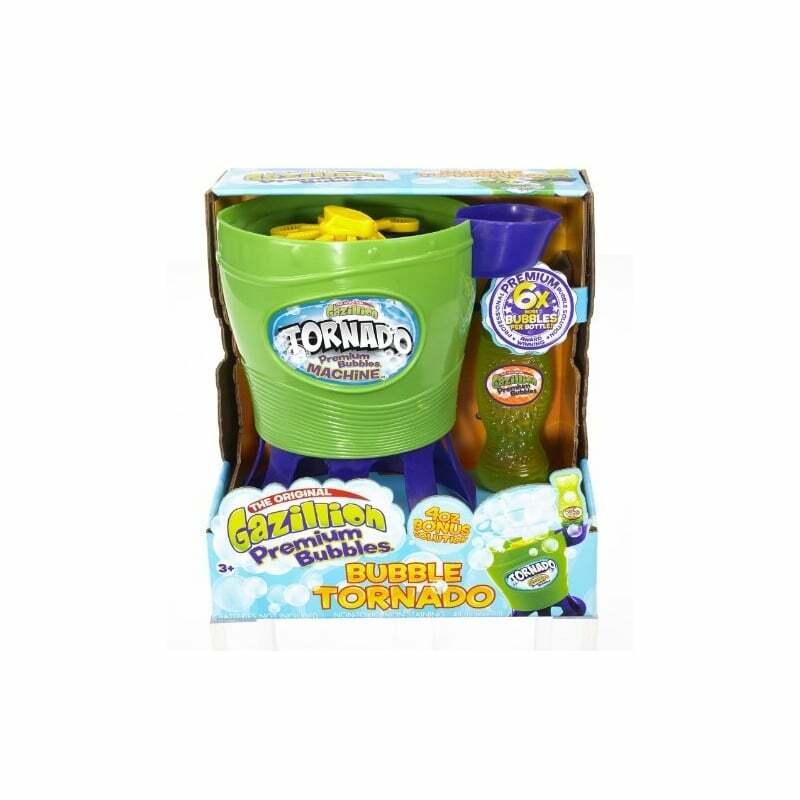 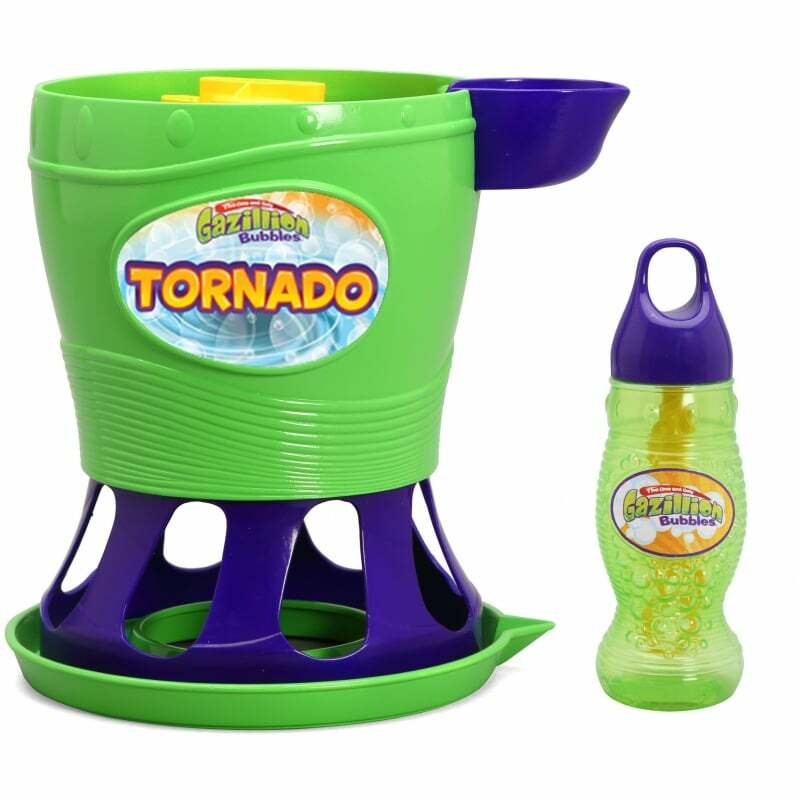 This machine may be small, but once you pour in Gazillion Bubbles solution, you’ll instantly see an endless flurry of bubbles with the Gazillion Bubbles Tornado with its new patented design! 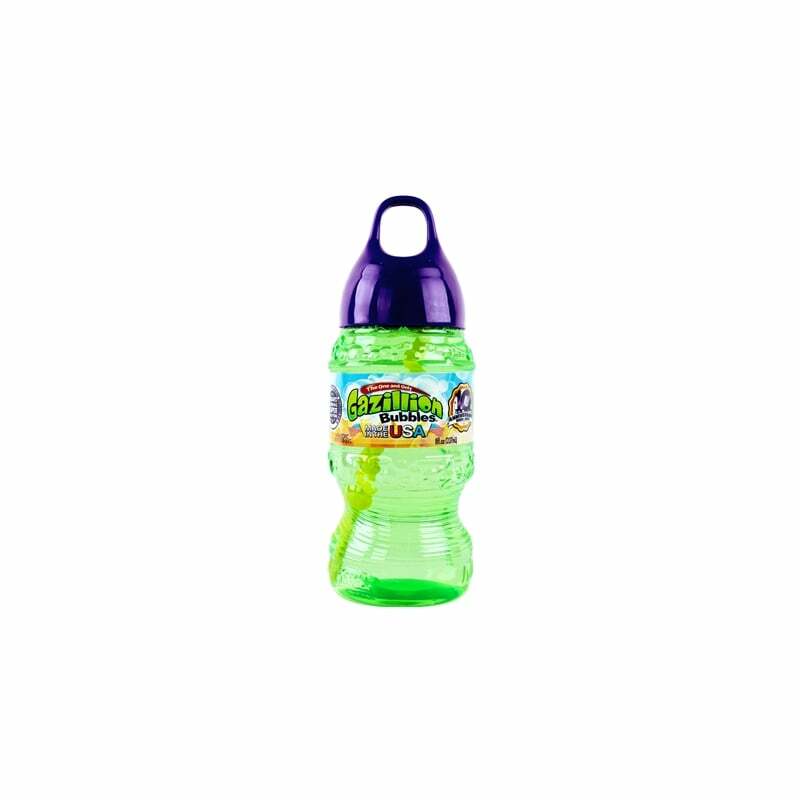 Easily attach the 8 oz. bottle of Gazillion Bubbles solution to the Tornado and turn the machine on to create an incredible bubble storm!